Documentary and literary sources describe Juan de Espina as a man of many pastimes, extravagant for having assembled the instruments used to torture Rodrigo Calderón, and mad for wishing to part with the treasures he had amassed. 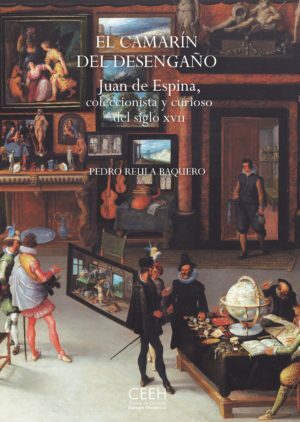 An interpretation based on a neo-stoic approach lends a certain coherence to the apparent contradictions of Espina, who embodies the curious or virtuous type who sought wisdom in knowledge of the truth and virtue in the deceitfulness of earthly appearances. Pedro Reula Baquero holds a doctorate in Art History from Zaragoza University and has published various articles on organology and art history in journals such as Anuario Musical, Boletín Museo e Instituto Camón Aznar, Ars & Renovatio and Tropelías. He teaches viola da gamba at the CIEM Federico Moreno Torroba and is a member of Los Músicos de Su Alteza, a group specialising in seventeenth- and eighteenth-century music and in recovering Spain’s musical heritage. He has performed with the group at many international festivals and has recorded three CDs for the French label Alpha.